If there was one thing that I would say most people struggle with it’s the idea of maintaining their results. Now, I personally believe this is because people assume that progress is linear, and as such, maintenance is also linear. Now the problem though is that just like life, it simply isn’t linear at all. During the process of achieving your goals, you will come across many obstacles, barriers and situations that you didn’t imagine you would when you started your journey. Life has a habit of throwing curveballs at us and creating situations that you just weren’t prepared for. This, for me, is where we get stuck. Once we understand that the process is not linear, and that there will be ups, downs, periods of great motivation and days where we just have nothing to give, then the process will become easier to understand and decision making becomes easier. Instead of going through life, simply reacting to what happens around you, it’s important to try and observe life as it happens so that you can attach yourself to ‘problems’ in a different way. Simply by observing life and understanding what’s happening, you are better able to make better decisions as you will have a clearer mind which sees the problem for what it is, and that where once it would have seemed like a disaster, you now see the bigger picture and that you will be able to tackle it. So on to maintenance, and the reason you’re reading this post. Well, just like the process not being linear, maintenance isn’t either, your weight will not always be exactly the same every day as there will be fluctuations caused by things outside of your control, but as a general trend you do want to see your weight staying fairly consistent. The most important thing here is to create habits in your nutrition, lifestyle, and training regime. These don’t need to be obsessive, nor do they have to take over your life, however there are some simple rules which you can follow to ensure that you are always at the very least maintaining your results. Eat good Protein. Try to add a serving of good quality Protein to your meals. Good Protein sources are things like: Lean Meat, Fish, Eggs, Nuts, Seeds, Good Quality Protein Supplements. Aim for 20-30g Protein with each meal as a starting point. Eat plenty of veggies. Adding veggies to your diet will help to increase fiber and digestive health. Veggies are also alkalising, which helps to optimise health and counter the effects of a typically acidic western diet. Stay hydrated. Drinking 2-3 litres of water daily, especially during the summer months is essential to stay in good health. Get good sleep. Try to get at least 8 hours of sleep per night. If this is not possible, make sure that the sleep you do get is of good quality. Get a black out blind, make the room as dark as possible, turn off your power points, buy some ear plugs. The darker and quieter the room, the better sleep you will get. Try also not to use any technology for at least 30 minutes before you go to sleep. Weight Train. Training using weights is a must if you want to maintain your results. Aim for 3-4 sessions per week and follow a programme which is balanced. This will help to keep your body strong and muscles looking toned. Get your heart rate up. 2-3 exercise sessions per week where your heart rate is elevated will help to make your heart stronger and will help to make your lungs stronger also. By delivering more energy and blood around your body, you will feel more energised than ever. 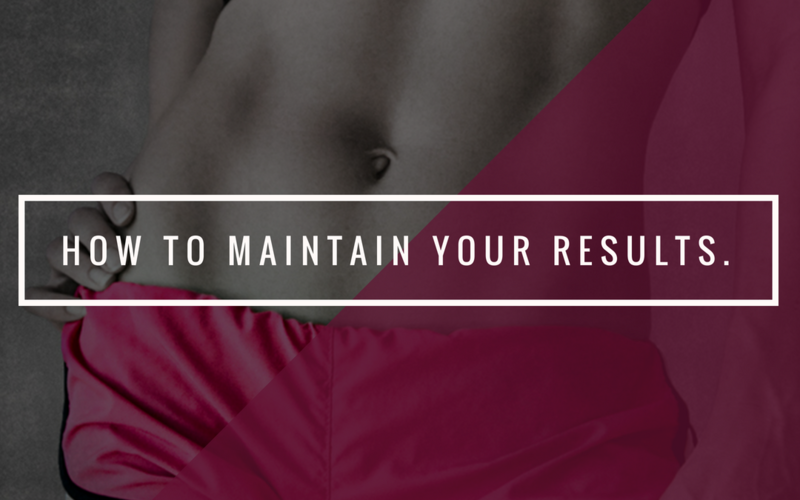 Following these basic principles will allow you to manage your busy lifestyle whilst maintaining your results. When the time is right, and you’re in the right head space, you can tweak your regime to further improve your results. If you’d like to find out more about how we can help you to achieve your goals, get in touch at info@phoenixperformance.co.uk. We’d love to hear form you. Our new Mums back to school programme starts soon with sessions running at 10:30 and 11:30 am for small groups of only 4 Mums. Let us help you achieve the best results with our expert coaches at our private studio in Haywards Heath. You’ll learn how to structure your diet whilst managing your busy lifestyle. How to train effectively to achieve the results you desire. Join a community of other Mums who are facing the same problems and achieving the same results. We do only have spaces for 10 Mums, so if you’re interested in finding out more about the programme, simply complete the contact form below and we’ll be in touch.